Combat is now approved by the Australian Pesticides and Veterinary Medicines Authority (APVMA) for mixing with Duocare LV plus Se, Cydectin LV, Cydectin LV plus Se, Virbamec Oral LV, Levamisole Gold LV and Oxfen LV. 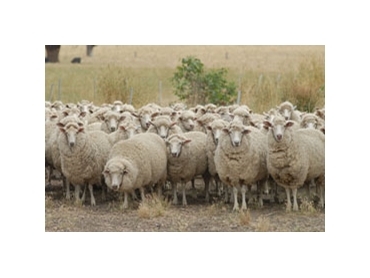 This gives sheep producers a lot of flexibility in planning a worm control strategy. Virbac Animal Health Australia’s Sheep Product Manager, David Anderson says that an effective worm control strategy is required as the combination of high rainfall during spring and early summer as well as a rapidly growing resistance problem in the New England means 2011 is shaping up to be a severe year for worms, particularly the potentially deadly barber’s pole worm. Barber’s pole worms can grow up to 30 mm long, making them clearly visible in the stomach. Warm, moist conditions on pasture allow them to develop rapidly to an infective stage. It is essential to understand the level of resistance to various drench families on your property via faecal egg count reduction tests (FECRTs). This regular testing is an important part of controlling barber’s pole worms and other roundworms. Production losses due to sheep roundworms cost the industry as much as $369 million per year. During the summer of 2010-2011 sheep deaths between Armidale in NSW and southern Queensland were attributed to barbers pole worm. “Combat can be used in sheep or lambs and can control worms resistant to other drenches. It can delay the development of drench resistance and, importantly, it mixes with drenches from other chemical families, so you can deliver the knockout these worms deserve,” said David. Naphthalophos provides mid-spectrum activity against sheep roundworms including barber’s pole worm. Resistance to products containing naphthalophos – such as Virbac’s Combat – is still rare, making Combat an extremely valuable drench when used in combination or rotation within a drench program. Combat is effective against all major internal parasites that are susceptible to an organophosphate drench, including barber’s pole worm, black scour worm, small brown stomach worm, stomach hair worm, and the mature stages of thin necked intestinal worm. When combined with a broad spectrum drench it is part of an effective worm control strategy and the complete spectrum of worms is covered.